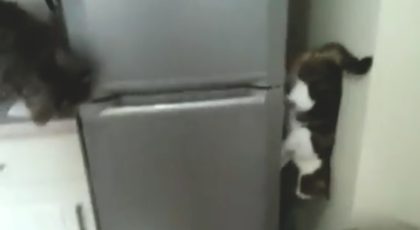 Inspired by the game “Whack-A-Mole,” this owner decided to create his own game: Whack-A-Kitty! Of course, he was quite gentle with them as he pattted their heads down with his homemade mallet. He cut holes in a cardboard box big enough for the kittens’ heads and bodies to poke out of… And then! The fun commenced!! LOL! This has got to be one of the greatest things I have ever seen!! 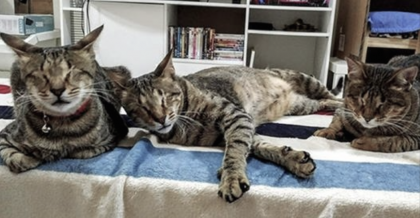 People Ignored Three Blind Cats, They Weren’t Adopted, But Then… The SWEETEST Thing Happened! 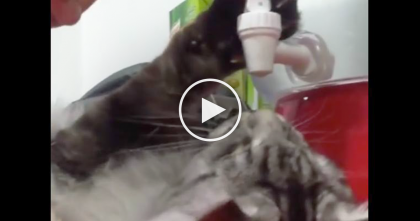 This Little Kitten Climbs Up On His Owners Leg, But Then… Nothing Can Stop Him! !